Radio — Dean Stansel, Ph.D. I am a frequent guest on talk radio shows. I currently appear as a regular guest on the Ed Dean Show, the #1 state-wide talk radio show in Florida, on iHeart Radio and numerous radio stations across the state, as well as the Devine’s Intervention Show on KVFD 1400-AM in Fort Dodge, Iowa. 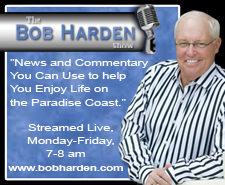 I've also been a regular guest on a variety of shows including the Bob Harden Show (internet radio) in Naples, FL and the Joe Whitehead Show on WGUF 98.9-FM in Naples, FL. Wed. 01/18/17, 7:45am ET, on tax reform and "border adjustability"
Mon. 12/11/17, 4:35pm CT, on the meaning of "liberty"
Mon. 8/8/16, 7:40 am CT, on "corporate welfare"
Fri. 6/19/15, 7:10 am (ET), on declining economic freedom & living standards in the U.S.
Fri. 6/19/15, 7:08 am, on declining economic freedom & living standards in the U.S.
Fri. 7/4/14, 7:20 am, on the decline of freedom in the U.S.